Once again, I spent the day following the Tevis Cup online: main site, webcast, Facebook. 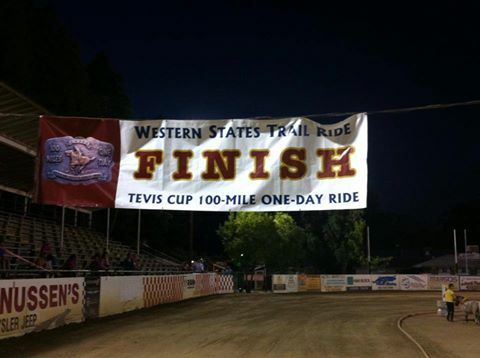 As with last year [Watching the Tevis], I remain fascinated by the race but convinced that a 100-mile ride is not for me. Forty-five seconds of a jump-off is about my concentration limit. 186 riders representing 13 countries. 107 finished. The last finisher, just under the 24-hour time limit, was the oldest horse: Hadji Halef Omar, 22yo, 15h, grey, Arab gelding ridden by Stephanie Palmer-Ross. Congratulations. Youngest horse to start was 6 years old. The tallest horse was MMC Last Dance, a 16.3h, 17yo, chestnut gelding. No breed given. He finished in 7th place ridden by Barrak Blakeley, a junior. A woman named Gabriela Blakeley finished in 8th with the same time. Walsh Blakeley made 85 miles. One assumes this was a family riding together. Cool. Update: The kid won the Haggin Cup for Best Conditioned! Men & women, adults & kids, professionals & amateurs all competed in the one division. Mares, geldings & three stallions. Breeds on the initial rider list: Arabs, more Arabs, Arab-crosses, types of Arabs e.g Shayga, plus a handful of others. This has 195 entries, so some DNS. Crosses: App, Thoroughbred, Quarter Horse (that’s a new one on me), Saddlebred (National Show Horse), Morgan (Morab), Pinto, Standardbred, & Friesian. Non-Arab: QH/Walker, Kentucky Mountain Saddle Horse, Mule, Missouri Fox Trotter, Mustang, Tennessee Walking Horse, & Appaloosa. No Thoroughbred, so I wasn’t as invested as last year. One horse was listed as Anglo. In an Anglo-Arab cross this indicates the Thoroughbred half. Weird way to refer to a TB, so I assumed the label referred to a cross. Historic stats and stories available on the Wiki page. Or why people volunteer year after year? Mostly Beautiful Things: Confessions of a Tevis Volunteer or Why I Keep Coming Back. 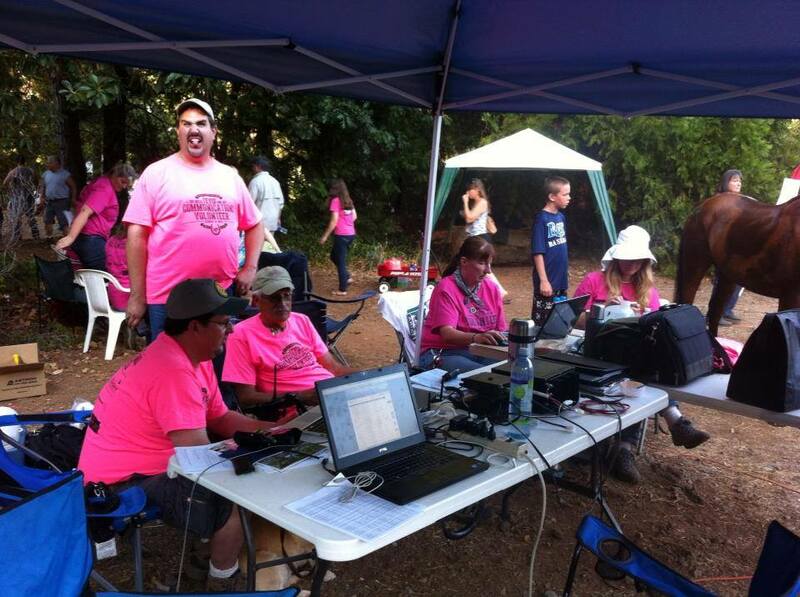 Finally, a shout out to the web volunteers who made it possible for the rest of us to enjoy the Western States Trail Ride as it happened. Thank you!